Property taxes typically account for the largest component of a property’s operating expenses. It is important to review a property’s assessment to verify that the assessment data is accurate, the assessed value is equitable and to determine whether there may be an opportunity for tax savings. Often there are unique factors that affect a property’s value that may not have been considered when the valuation was performed – examples of such factors include vacant space, tenant inducements and environmental issues. 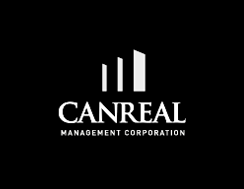 Canreal will perform an annual review of a property’s assessment and provide a recommendation as to whether there may be grounds for an appeal. If an appeal is warranted, we will proactively negotiate with the assessor and/or file an assessment appeal notice. Once an appeal notice is filed we will be responsible for the entire appeal process including preparing documentation, compiling market information, negotiating with the assessor, obtaining expert opinion evidence (if required) and appearing before the Property Assessment Appeal Board.